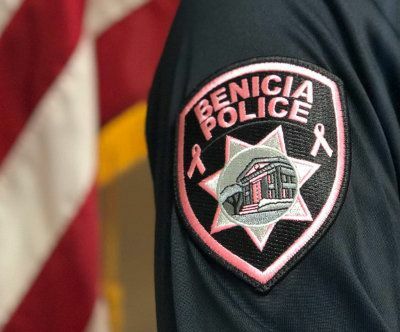 Benicia Police Officers' Association is participating in the Pink Patch Program. As part of this initiative, they are selling their pink patches directly to the community for $10 each. All the proceeds will be donated to the Solano Midnight Sun Breast Cancer Foundation.